Lilian Abda, who now lives in Haifa, was one of 25,000 Egyptian Jews caught up in the brutal aftermath of the Suez crisis 60 years ago. Fearful that Gamal Abdel Nasser, Egypt’s military dictator, would nationalise the Suez Canal, Britain and France colluded with Israel to attack Egypt. The Israelis were responding to Nasser’s act of war – the closure of the Straits of Tiran – and to years of terrorist raids. Nasser’s revenge against the Jews was not long in coming. 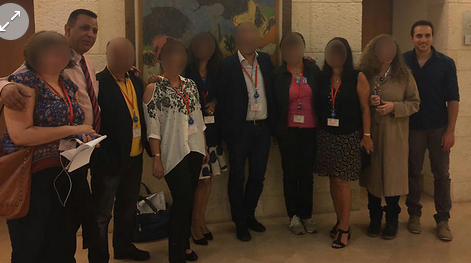 Lilian Abda was accused of passing intelligence to Israel. “They called me the Mata Hari of the canal,” she says. British and French passport-holders were given days to leave. Another 500 Jews were also expelled and their property seized, including stateless Jews or those who held Egyptian nationality. The plight of Egypt’s Jews has been replicated all over the Arab world, as Jews were deprived of their civil rights and forced to leave. The majority of Jewish refugees found a haven in Israel. Two years ago, the Israeli Knesset passed a law designating 30 November as an official date to remember the uprooting of almost one million Jewish refugees from Arab countries and Iran in the last 60 years. The date chosen was 30 November – the day after the UN passed the 1947 UN Partition Plan for Palestine. Violence, followed bloodcurdling threats by Arab leaders, led to the destruction of millennarian, pre-Islamic communities. After 1979, four-fifths of the Iranian-Jewish community fled. 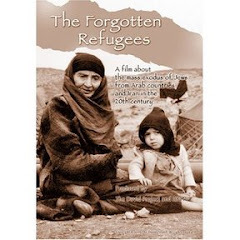 Harif is holding several events in November and December to remember the plight of Jewish refugees from Arab lands. From Amsterdam to Sydney, Toronto to Bologna, Birmingham to New York, San Francisco to London, Jewish organisations worldwide, many in partnership with Israeli embassies, are organising lectures, film screening and discussions. Refugees are much in the news. But until the mass population displacement caused by wars in Iraq and Syria, the world thought that ‘Middle Eastern refugee’ was synonymous with ‘Palestinian refugee.’ Yet there were more Jews displaced from Arab countries than Palestinians (850,000, as against 711, 000 according to UN figures). For the sake of peace, it is important that all bona fide refugees be treated equally, yet Jewish refugee rights have never adequately been addressed. There are less than 13 Jews in Egypt today out of 80, 000. Jewish refugees like Lilian Abda have rebuilt their lives without fuss. They don’t expect much in the way of compensation. But they do demand their place in memory and history. For centuries Jews co-existed for the most part peacefully with their various neighbors across North Africa and the Middle East. 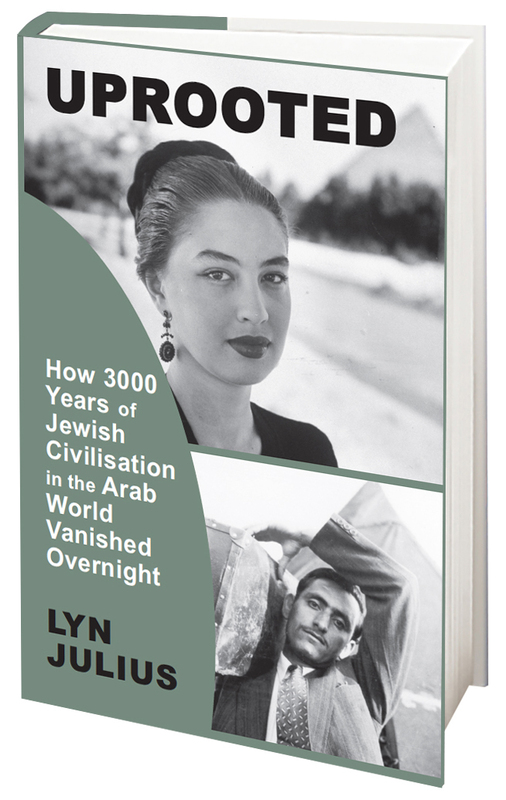 Jewish communities thrived from the Atlantic Ocean to the Tigris and Euphrates rivers, from Casablanca to Alexandria and Baghdad. Today, they all have been virtually driven to extinction. Within one generation, from 1948 to 1973, nearly 1 million people were displaced, many becoming refugees. Jews were stripped of their citizenship, belongings and livelihoods. Communal life was restricted, schools and synagogues confiscated and cemeteries destroyed for urban renewal. In 1969, during the regime of Saddam Hussein, innocent Jews were scapegoated as Israeli spies and hanged in a public square. Nearly half of those displaced migrated to Israel, about a quarter to Europe and the rest to the Americas. Many experienced several exiles. 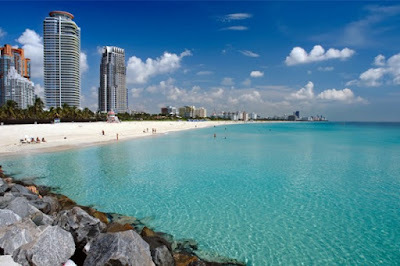 For example, the Garazi family, fearing rising anti-Jewish sympathies in the wake of the fall of the Ottoman Empire, traveled from Aleppo to Havana and then to Miami post-Castro in 1961. When Solomon was asked if his roots still played a significant role in his life he said: “It is who I am: a proud Jew from Aleppo who left his heart in Havana to go into exile again to be free so I could continue to cultivate my Sephardi heritage”. 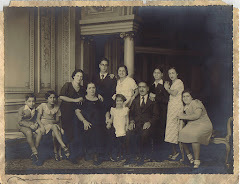 Today, South Florida is home to thousands of Sephardi and Mizrahi Jews of Middle Eastern and North African heritage. It is a melting pot of communities and multiculturalism, a haven for refugees of all nations and ethnicities. 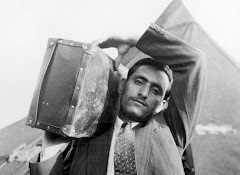 The story of the “forgotten exodus,” Jewish refugees from Arab and Muslim countries, has never been part of the discussion regarding Palestinian-Israeli and Arab-Israeli encounters for peace. With each attempt to rewrite history, the voices of these Jewish refugees grow weaker, as witnesses pass on and human-rights agencies exclude them from the equation of justice. 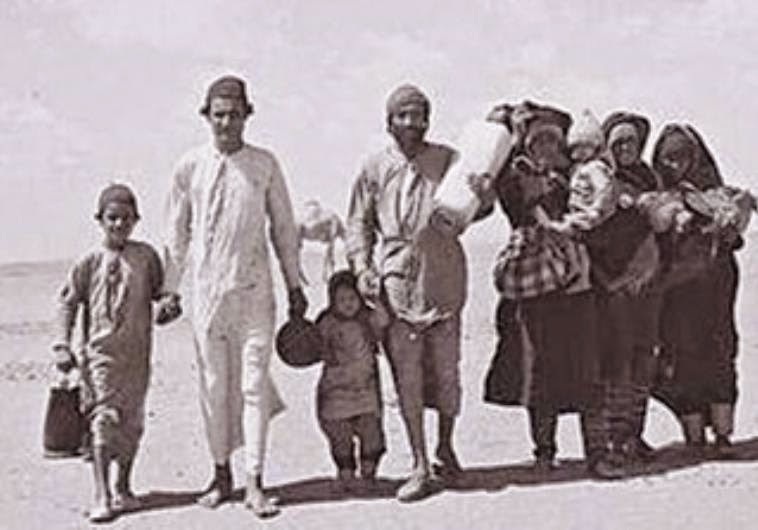 Jewish organisations around the world are getting ready to hold special events to mark the exodus of Jewish refugees from Arab countries and Iran in the last 70 years. The centrepiece of the commemoration in Israel will be a musical extravaganza attended by 2,700 people at Binyanei Ha'uma in Jerusalem on 30 November. 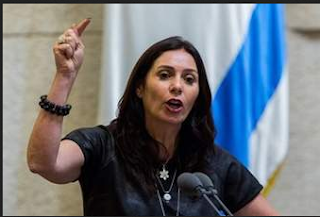 At Bar Ilan university today, minister Gila Gamliel will open a conference attended by all the organisations representing Jews from Arab countries in Israel. The conference has been arranged by Dr Shimon Ohayon, ex-MK, who shepherded the law designating 30 November as Jewish Refugee Day through the Knesset. The commemoration kicked off on 24 November when Levana Zamir, president of the Coalition of Associations of Jews from Arab countries, presented an award to minister Gila Gamliel before an audience of 250 guests. The award was in recognition of minister Gamliel's remarkable contribution to raising awareness of the expulsion and plight of Jews from Arab countries. 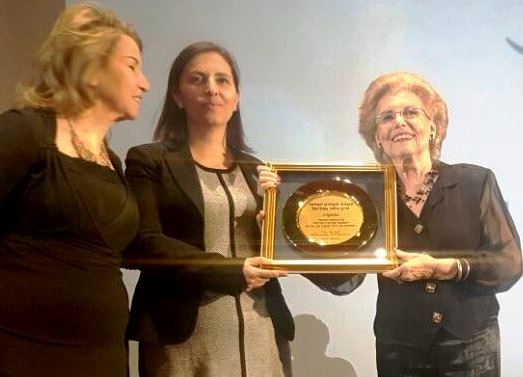 Miriam Avigal-Guez, representing Jews of Tunisia, looks on as minister Gila Gamliel (centre) poses with the award presented to her by Levana Zamir right). The program on the "Jewish Nakba"( arrests, progroms, properties confiscated, persecution and expulsion of Jews from Arab countries) included documentaries and a lecture by Professor Uzi Arad, initiator and head of the famous Herzliya Conference, and professor at the Interdisciplinary Center, who served during 2009 -2011 as National Security advisor to Prime Minister Binyamin Netanyahu. 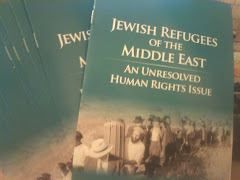 Arad made the issue of Jewish refugees a strategic imperative. MK Ksenia Svetlova made the opening remarks. Gamliel, who was on her way to the north of Israel, could not avoid mentioning the criminal fires devastating Haifa and its suburbs. With reference to the Jewish 'Nakba', minister Gamliel stressed how important it is to record testimonies. She is working on getting a special budget for this task. Harif, the UK Association of Jews from the Middle East and North Africa, will be screening 'Rock in the Red Zone' jointly with the Israeli embassy on 30 November, while JIMENA in California has a full month's programme planned. Jewish organisations, many in partnership with Israeli embassies, will be holding talks, film screenings and discussions from Amsterdam to Sydney, Toronto to Bologna, Birmingham to New York, Washington to Montreal. The film star Karim Kassem revealed that his mother was Jewish on an Egyptian TV show last week. However, Kassem explained, this wasn’t always an easy feat. Indeed, he recounted, even the way he learned of his mother’s origin was shocking. It happened one day upon his return home from school, when he told his sister of certain negative stereotypes attributed to Jews. “Karim!” she shouted. “You don’t know? Your mom is Jewish!” It was not only his surprise that prompted him to keep the discovery to himself, he said. It was also his shame. The 30-year-old was growing up in a country with rampant antisemitism and, in spite of its peace treaty with Israel, which did not view the Jewish state favorably. 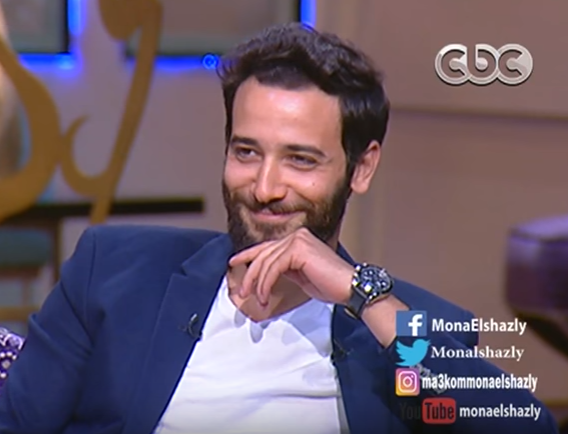 In fact, he said during the talk show interview, the reason his mother was among the few Jewish families in Egypt that did not immigrate to Israel after its establishment in 1948 was because of his maternal grandfather’s virulent anti-Zionism. He even opposed the Camp David Accords, signed in 1978 between the late Egyptian President Anwar Sadat and Israeli Prime Minister Menachem Begin. On the bus ride over, Tamar Tzaliach, a retired businesswoman from Jerusalem who loves Prime Minister Benjamin Netanyahu, says she is not sure if Abbas is ready to make the compromises necessary for peace. “I am skeptical; it is possible that he wants to make peace, but he needs to overcome the pressures around him and take a courageous step,” says Tzaliach, whose family comes from Baghdad and Basra. 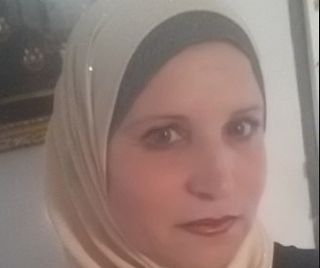 Zehava Bracha, who operates a website dedicated to preserving Iraqi Arabic among Israeli Jews, says she has not come to make a political statement. As the visitors descend the bus in the Mukata’s parking lot, the PA presidential guard forces welcome and direct them to a medium-sized room, where a number of Abbas’s top advisers are awaiting their arrival. Among the advisers is Muhammad Madani, the chairman of the Palestinian Committee for Interaction with Israeli Society, a Palestinian government body. Since early 2013, Madani has frequently traveled around Israel, meeting with Israelis from all walks of life, but Defense Minister Avigdor Liberman withdrew Madani’s VIP entry permit in April, making it impossible for Madani to meet Israelis on the other side of the Green Line. Liberman said that Madani had attempted “to establish a political party” and wanted “to undermine Israel’s political stability,” all claims that the latter vehemently denies. Madani, together with Zionist Union MK Yossi Yonah, organized Tuesday’s meeting, which comes at a time when there is little discussion of the peace process between the two sides. 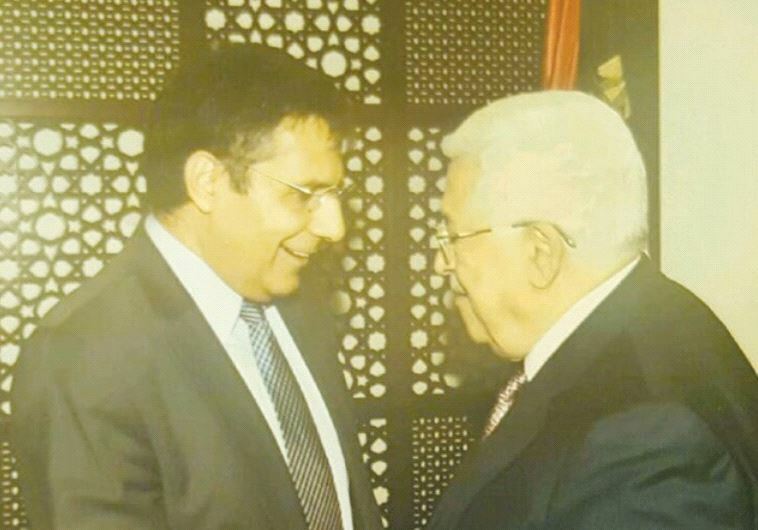 Yonah, whose family comes from Nehardea, an ancient Iraqi city, says he met Abbas approximately two months ago and agreed to help arrange for a delegation of Israeli Jews of Iraqi descent to come to Ramallah. After everyone is seated, Abbas emerges from the doorway and individually shakes each of his guests’ hands. Yonah then takes the floor and delivers remarks in Arabic, while Taleb al-Sana, a former Arab-Israeli member of Knesset, translates into Hebrew. 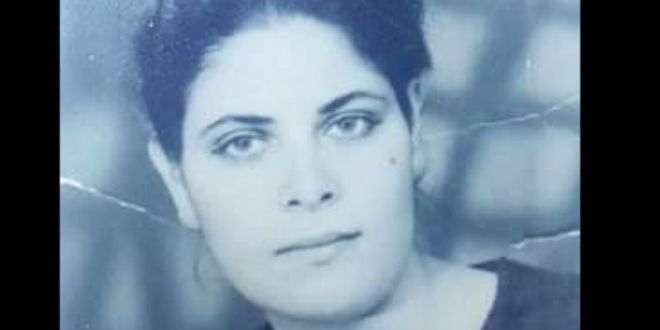 Only surviving photo of Liliane, who disappeared in the 1960s from Morocco. "Firstly, I call on all Jewish Moroccans because our grandmother is Jewish. I forgot to mention that our grandfather was Muslim and that we are also Muslim. I imagine that this difference in religion is one of the factors that made our grandmother disappear. The story dates back almost 52 years, when my grandfather, Ahmed, met my grandmother Liliane, aged 20-22 at the time. That's all we know about her, we do not know her last name. 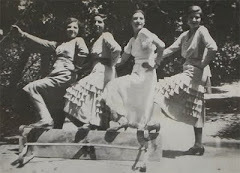 In Casablanca, she lived in the mellah. He was a butcher in the neighborhood. He was already married and had children and yet they linked up. Obviously, Liliane's family always rejected him, I believe because of his religion. Liliane became pregnant and had to leave her family to join Ahmed who took her to live with his wife and children. Ahmed's wife did not accept Liliane, but could not say anything in front of her husband, who was somewhat authoritarian, so she decided to put pressure on Liliane and try to drive her out of the house by any means she could. She succeeded. Liliane had to endure this suffering during the nine months of her pregnancy and finally abandon her baby, who is my mother. Liliane had told someone, just before she left Ahmed's house, that she was going to Israel. She disappeared from that day forth in 1963-1964 and we have no news of her. Our mother was raised by a couple who could not have children. At the time she tried to find her mother, but it was not easy because of the lack of means. Today, our mother is also the grandmother of five grandchildren, but we, her children, are hoping to find our grandmother, thanks to new technology. Our mother does not know that we are aware of this story that she hid from us for more than thirty years. We learned about her from someone who wanted to shock us. But we accepted this truth and think that finding our grandmother would be the best gift we could offer to our dear mother." Salim Fattal was the head of Israel's Arabic TV service in the 1960s and made a series about the Jews of Iraq. This programme (Hebrew and Arabic) has some fascinating scenes of a service in the Meir Tweg synagogue (the last working synagogue in Baghdad). Fattal interviewed 100 Jews about their experiences in the Farhud, the 1941 massacre. Even if you do not understand the language, the film is worth seeing for its rare footage of the Mufti of Jerusalem meeting Hitler. Jews from North Africa are fighting for space in Holocaust memory. For some years now, a high-profile ceremony in France has been taking place to remember the 9 December 'rafle de Tunis' : the Nazis, who had occupied Tunisia in November 1942, rounded up over 5,000 Jews, damaged the great synagogue in Tunis, and looted Jewish property. The French protectorates of Morocco and Tunisia, and Algeria, part of France proper, came under the pro-Nazi Vichy government from 1940. Libya was a colony of Fascist Italy.Vichy racial laws were introduced expelling Jews from schools, universities and jobs in the public sector and the professions. 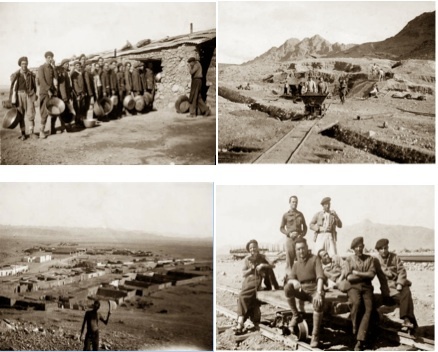 There were 30 labour camps on Moroccan soil for ex-servicemen of the defeated French army. Among those interviewed is Casablanca-born Sydney Assor, whose British father was arrested as an 'enemy alien'. Assor himself was abruptly removed from his state school and transferred to the Alliance Israelite. This was run by Turkish Jews. " If you had any orifice, they would put knowledge through it," he says. A Tunisian Jew marched off to the railway station on his way to a labour camp told how his familiar and nurturing world had exploded. A Libyan Jew describes her experience of Bergen-Belsen: 900 Jews of British nationality were deported there. Is it possible to live happily as a Jew under Muslim rule? Yes it is - in Azerbaijan where 9,000 Jews live in harmony, says Said Mousayev in the Jerusalem Post. The history of Azerbaijan itself and its peoples is multicultural. In particular, the history of the Jews in Azerbaijan is exemplary. This is exemplary because Azerbaijan, a country with a Muslim majority 96%, is against anti-Semitism. In Azerbaijan, religion is separate from the state. All confessions are equal before the law. The national educational system is secular. The official language of the Republic of Azerbaijan is Azerbaijani. According to the most recent census, there are people of 150 ethnicity living in Azerbaijan, 22 of them having compact settlements in different regions of the state. 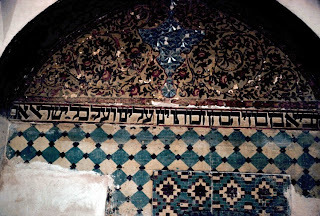 There are three Jewish communities in modern Azerbaijan: Mountains Jews (or Bukharian Jews), Ashkenazi Jews, and Georgian Jews. The community of Mountains Jews is the oldest, their ancestors arriving to the territory almost 15 centuries ago, according to some data. This version claims that after the Mazdakeans were subdued in Iran (late 5th – early 6th century A.D.), most of the Iranian Jews who had supported them were exiled to the outskirts of the empire, i.e., today’s Northern Azerbaijan and Southern Dagestan. The ancestors of the Mountains Jews spoke a South-Western dialect of the Persian language, which the modern Mountain Jewish language of Old Persian origin called Juhuri or Judeo-Tat, related to the Persian spoken by Jews in Tajikistan and Uzbekistan, and also containing many Turkic and Semitic elements. 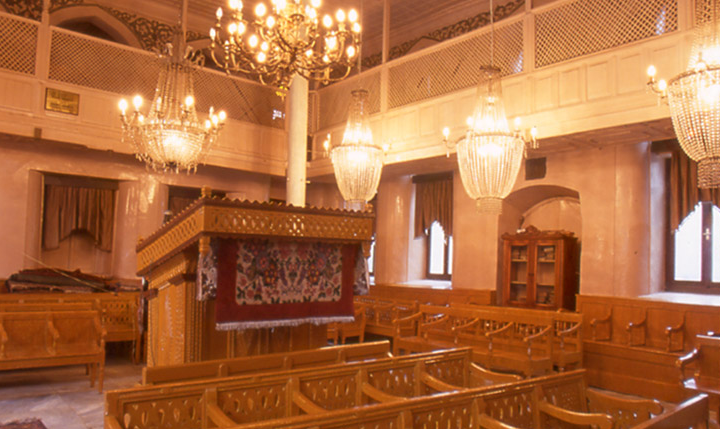 As of 2016, approximately 9,000 Jews live in in perfect harmony with Muslims and other religions in Azerbaijan. Recognized as Juhuros, Mountain Jews self-nominate, would be descendants of the 12 tribes exiled from the Kingdom of Israel by the Assyrian king Shalmaneser V in the VIII century BC. Historians, however, agree on the presence of Jewish communities in the Eastern Caucasus as early as the 3rd century. Fleeing persecution in Persia, the Mountain Jews settled in the area and were gradually cut off from their Persian roots over the centuries. Thus, in the 7th and 8th centuries, their number increases in the North Caucasus and on the territory of the present Republic of Azerbaijan because they are fleeing the Arab threat to the south, contained by the Khazar kingdom, Crimea to the shores of the Caspian Sea. Dr Edy Cohen, an academic researcher at Bar-Ilan university, has raised the question of property seized from Jews in Syria on Al-Jazeera Arabic's most viewed and prestigious programmes. 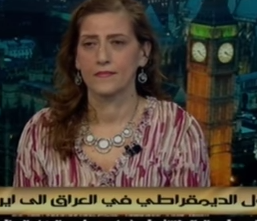 In a discussion on 15 November about Syria, Dr Cohen appeared on the al - Fubbia programme ('The opposite way'), which has 70 million viewers in the Arab world. Dr Cohen attacked Syrian president Assad and Iran's involvement. He said that Israel wants peace and does not interfere in the affairs of Arab countries, even though it has the military power to do so. Dr Cohen (pictured below), a Jewish refugee from Lebanon, is believed to be the first Israeli Jew ever to have taken part in the programme. In 1946 Syria had 30, 000 Jews. Today there are believed to be fewer than 15. 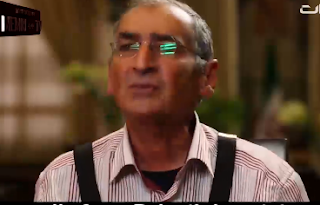 Iranian reformist intellectual Sadegh Zibakalam criticized the Iranian regime on its stance on Israel, saying that by promoting calls for the destruction of Israel, Iran was acting in violation of the U.N. Charter. He further criticized Khamenei's idea of a referendum on the future of Israel, saying that it was unrealistic and furthermore, none of Iran's business, pointing out that Iran's commitment to destroy Israel was evident in its parading of long-range missiles with slogans in Hebrew pronouncing that "Israel must be destroyed." Zibakalam was speaking in an interview held by the Iranian Ministry of Islamic Culture and posted on its official YouTube account on November 13. Zibakalam: "Mr. Dehbashi, don't argue with me. 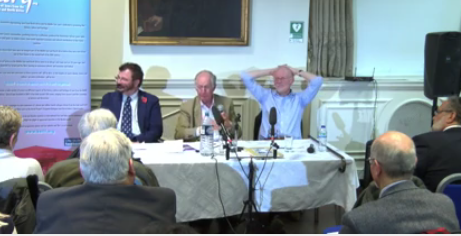 Don't say: 'We're talking about a referendum, not about the destruction (of Israel). When you write on your missiles ' Israel must be destroyed,' it's no joke. These missiles have a range of 2, 000-3, 000 kilometers, so if you launch them from here, they will definitely hit Tel Aviv. You write 'Israel must be destroyed' on the missiles in Hebrew, in order to dispel any doubts (about our intentions). Is this really talking about human rights? Who entrusted Iran with this mission? The Arabs? Did the Arabs say: 'Oh Iran, we are incapable of destroying Israel, and, you know, we Arabs love you very much, so please come and do this for us'?! Did the Palestinians say this? Did Hamas? Did the PLO? Did the Palestinian parliament in exile say this? Is this written in our constitution? Was there a poll in which the Iranian people said that Israel must be destroyed? Does Islam say this? Who said that we must destroy Israel?! Kurt Heilbronn, a psychotherapist, ...moves back and forth between Germany and Turkey. His father, founder of the Istanbul Botanical Garden, was a respected plant geneticist in Germany before the Nazis chased him out in 1933. Kemal Ataturk, the founding father of modern-day Turkey, offered him a professorship in Istanbul. Ataturk actively pursued a sweeping university reform in the late 1920s, with the aim of turning Turkey into a modern country – no matter the cost. The German professors who fled Nazi Germany were welcomed with open arms and helped build Turkey′s university system. Ataturk outlawed Arabic letters and introduced the Latin alphabet. Young Turkish students were to receive a sound education, just like their fellow students in the West. Women, who were no longer required to wear a veil, flocked to the universities, says Eren Onsoz, director of the documentary "Haymatloz". The families of all five of the film′s protagonists managed to flee persecution by the Nazis in 1933. Many decades later, these Jewish emigrants′ children reminisce about their childhoods, about growing up in Istanbul or in Ankara – and what awaited them in post-war Germany, where Jewish returnees were anything but welcome. 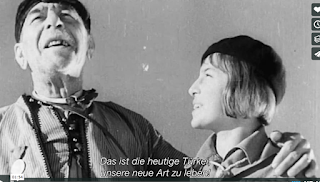 The film highlights a chapter of German-Turkish history that has largely been forgotten, telling the stories of five German emigrants who worked as professors at Turkish academies, universities, ministries and in public office. In Turkey, they weren′t labelled as Jews, but rather regarded as the "Germans". They taught generations of Turkish students. After Hitler seized power, Jewish scientists and professors were no longer allowed to hold official positions. Many fled to Switzerland, where they turned to the Emergency Association of German Science Abroad, founded in Zurich in 1933 by a German emigrant, Philipp Schwartz. The association helped more than 2,600 persecuted academics escape and find posts at foreign universities. In the winter semester of 1933/34, Istanbul University hired 30 Jewish professors. The families of all five of the film′s protagonists managed to flee persecution by the Nazis in 1933. Many decades later, these Jewish emigrants′ children reminisce about their childhoods, about growing up in Istanbul or in Ankara – and what awaited them in post-war Germany, where Jewish returnees were anything but welcome and where no one spoke about the fate of the German Jews. Susan Ferenz-Schwartz, Egon Bagda, Kurt Heilbronn, Enver Hirsch und Elisabeth Weber-Belling say they don′t really feel at home anywhere. "We would have ended up in Auschwitz, too," says Susan Ferenz-Schwartz, averting her eyes. "That was the only alternative." A UK Jewish organisation is calling on survivors of WWII from North Africa living in the UK to apply for grants. Jews were among the inmates of Moroccan labour camps during WWII. These photos were taken by Spanish prisoner Sinforiano Rodrigues at Bou Arfa camp. The Six Point Foundation will support all North African survivors from Algeria, Tunisia, Libya as well as Morocco, who are living in the UK providing they meet their criteria. Survivors of the pro-Nazi Farhud pogrom in Iraq do not qualify. The Foundation would like to distribute its funds but has a limited window until early spring 2017. It would like to make contact with survivors as soon as possible. Applicants need to be current UK residents of Jewish origin who experienced 'Nazi oppression', have an income of less than £10k per annum (excluding any pensions or social security payments) and assets of less than £32k (excluding a primary residence and a car). They must be willing to receive a home visit from a social worker experienced in assessing Holocaust survivors and refugees. Applicants should contact Trisha Curtis at TCurtis@jcare.org. After years of fedayeen incursions, and in response to Egyptian President Nasser's closure of the Straits of Tiran, Israel invaded Egypt in late 1956 with British and French collusion. 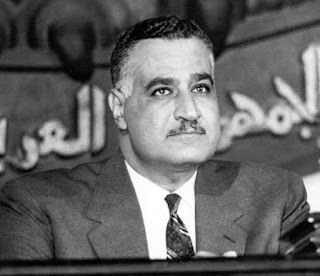 Their aims were to regain Western control of the Suez Canal and to remove Egyptian President Gamal Abdel Nasser from power. After the fighting had started, political pressure from the US, the Soviet Union and the UN led to a withdrawal by the three invaders. The episode humiliated Great Britain and France and strengthened Nasser. Israel took the political flak - but the real prize for Prime Minister Ben Gurion was the French quid-pro-quo: the transfer to Israel of French nuclear know-how. What is considered an embarrassing episode for the western colonialists had far-reaching consequences for 25, 000 Jews living in Egypt. Their businesses were seized and many were given days to leave the country. 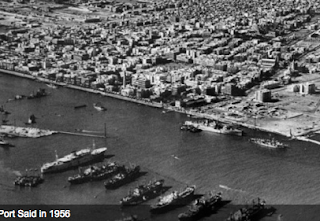 To mark the 60th anniversary of the Suez crisis, the Association of Jews from Egypt and Harif held a conference on 13 November in London. Dr. Natan Aridan researcher at the Ben-Gurion Research Institute for the Study of Israel & Zionism, Ben-Gurion University of the Negev of the Negev, and Anthony Gorst, lecturer at the University of Westminster , made presentations to explain the lead-up to the crisis and the consequences for each country involved. Click here for the first part of the video. Click here to hear the Q&A ( the second part of the video). There are contributions from Dr Lionel Kopelovitz, past-president of the Board of Deputies, and Lucien Gubbay, trustee of the Montefiore Endowment. The third part of the video features a poem by Arlette Gotkine and contributions by Roger Bilboul and Yves Fedida of the Nebi Daniel Association. Al Watan Voice, which often features explicitly antisemitic articles, has an interesting piece by Helwa Zayekh about her visit to her sick mother at Hadassah Hospital on Mount Scopus. She writes that sharing her mother's room is a Jewish woman, adding that "this is normal, of course." The Jewish woman was born in 1930 and was clearly of Syrian descent. Her daughter brought an iPad for her mother to watch Syrian TV drama, speaking to her in Syrian-accented Arabic. While the Jewish woman couldn't talk, her eyes lit up when she saw her favorite Syrian actors on the screen. The writer says that she appreciates that Syrian Jews still appreciate Arab culture, but then forces herself to add, "I was amazed at people who could change religion into a nationality," pretending that this family was Syrian first and Jewish only by religion. If Zayekh wouldn't have added that sentence, she might have been accused of "normalization" with Jews. Arabs like to pretend that Judaism is only a religion, not a nationality. My first encounter with the plight of the Iraqi Jews was in 2007 when Saudi-owned, London-based news website Elaph ran a series of essays by Shmuel Moreh – professor emeritus in the Department for Arabic Language and Literature at the Hebrew University in Jerusalem. Reading the intimate recollection of stories on my laptop screen triggered memories of the beautiful villas I’d driven by on my way to the university. The British-colonial-style buildings, I was told, belonged to wealthy Jewish families, but were confiscated by the government after their owners had fled the country to Israel in the early 1950s. The film Remember Baghdad, which had its preview in London this week, is on course to be a very influential addition to the historiography of the Jews of Iraq. 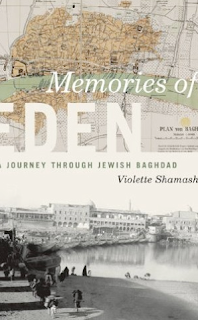 Produced by David Dangoor, it tells the story of the last decades of the Jewish community of Baghdad in the words of a group of Jews who rebuilt their lives in London. 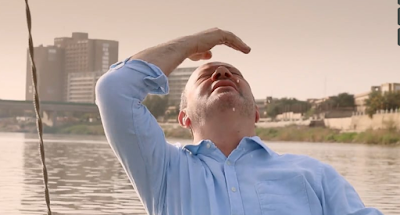 Among them is Edwin Shuker (pictured here floating along the Tigris), one of the rare Jews to have maintained links with the land of his birth. Edwin has made several trips to Iraq in spite of the security risks. 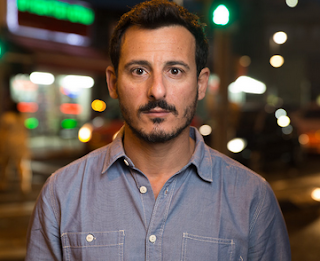 The film opens with Edwin buying a house in Erbil (Kurdistan), an act symbolising the Jews' continuing sense of belonging to the country. More about this film soon. You can see a short clip here. "Even in this trailer, you can actually catch a glimpse of the shores on the river where we lived; it took a glimpse of that river shore to awaken my nostalgia. Many Jews lived on the riverside, especially on the Rissaffa bank. My maternal grandfather's house where I grew up, was one of them. It was right across from the Bilatt (the king's palace), .later to be the Ba'ath headquarters. In summer, the land was so fertile that as soon as the tide was low, nomads would construct their temporary mud huts on the river banks and plant their vegetables such as cucumbers, green beans (loobia), green peppers, zucchini, tomatoes, eggplant, etc. They picked them early in the morning and rang our doorbells minutes later, to sell them to us. Yes, we always bought what they had! We cooked our lunches (the biggest meal of the day), according to the produce of that day.Those vegetables smelled divine, and were yummy even when raw ! I still remember sleeping on the roof at night under the stars and the moon, and seeing the flickering lights reflected on the water, whenever a boat lazily passed by. The gentle ripples of the water would lull me to sleep! Then there were those commercial airplanes sporadically passing by, either landing or taking off from the airport across the river. We would see them while we lay in bed on that roof. Oh how I envied the passengers on those airplanes that were taking off, leaving Baghdad and heading to romantic Western shores. How I envied the people who could travel unrestricted, for we were the pawns, we were hostages in our own birth country for no reason other than we were Jewish!" In the difficult, current climate for Jews and Israel, the writer Howard Jacobson must be applauded for being one of the rare public figures in Britain prepared to speak up against antisemitism. In the BBC World Service programme On Background (the segment begins at 34:20 ), he explains how antisemitism is still a serious problem in the West after 2,000 years. Traditional anti-Jewish Christian libels and tropes of Jewish power, he adds, are now being applied to Israel, the Jewish state. What? Tell that to institutionally-inferior dhimmi Jews stoned by small children, Yemenite Jews made to clean the sewers, Bokharan Jews forced to convert to Islam, ‘untouchable’ Persian Jews, Berber-Jewish serfs to their tribal masters, Algerian Jews who survived the 1934 Constantine riots, Iraqi Jews who lived through the massacre known as the 1941 Farhud. 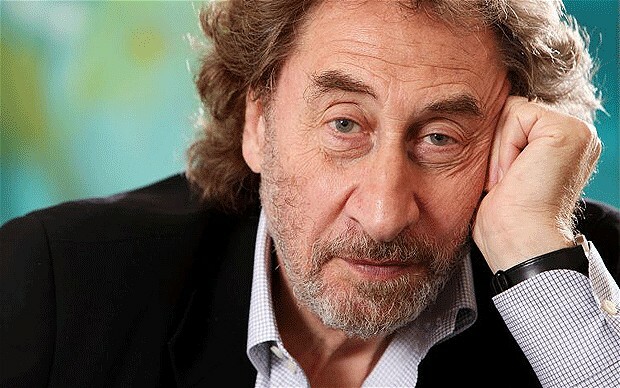 As a self-described student of antisemitism, Jacobson is found wanting when he says that Jews lived reasonably well. True enough. But Britain and Holland — outposts of Christian Europe — also welcomed in Sephardi Jews. And less than 100 years after welcoming them in to Constantinople, sultan Murat III called for the liquidation of the Jews. The great historian Bernard Lewis says that the myth of Muslim tolerance is one of the great myths propagated by 19th century Jewish historians who wanted to embarrass the west into giving European Jews greater civil rights. Belief in the myth of Muslim tolerance was a result, more than a cause, of Jewish sympathy for Islam. “The myth was invented by Jews in nineteenth-century Europe as a reproach to Christians – and taken up by Muslims in our own time as a reproach to Jews,” he writes. Scholars are beginning to re-assess the myth of peaceful coexistence. Even the so-called Golden Age is not as guilded as it is cracked up to be. Jews under Islam had few rights and no security. The great rabbi Moses Maimonides fled the fundamentalist Almohades in Spain: “Never did a nation molest, degrade, debase, and hate us as much as they,” he declared. Of course there were times when Jews did live well, but there were times and places when the great mass of Jews did not. Jacobson has made a speciality of studying European antisemitism. But he does no-one any favours by denying or downplaying the existence of Muslim antisemitism. Israel provided a haven from pre-existing persecution, but the effect of Jacobson’s words is to blame the establishment of Israel for ruining the ‘harmonious’ relations between Muslims and Jews. It’s untrue and hardly the impression Jacobson, a staunch defender of Israel, should have wished to convey. Jerusalem Mayor Nir Barkat contacted Attorney General Avichai Mandelblit to ask him to examine the consequences the High Court decision to demolish the town of Amona would have on property in Jerusalem. 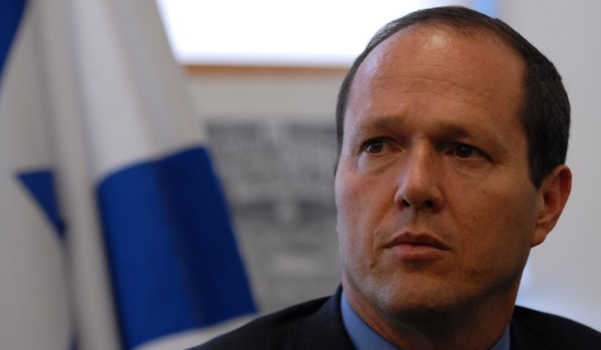 Barkat sent a letter to the Attorney General after spending the past few weeks working with the city's legal adviser on the issue of land in Jerusalem, finding that the city faces a situation similar to that of Amona but with the roles of Arabs and Jews reversed. This is especially true in eastern Jerusalem where there are many areas of Jewish owned land which are currently encroached on by Arab squatters. Jews lived and owned property in the eastern section of Jerusalem before Jordan ethnically cleansed the area of Jews during the 1948 War of Independence. Many properties that are owned by Jews since before the State of Israel was established are currently occupied by Arabs who took up residence in those properties during the period when Jews were banned from the eastern half of the city. According to estimates, if Arabs living on Jewish-owned property were to be treated the same way the residents of Amona are being treated for living on property allegedly owned by Arabs, the city would be obligated to evict thousands of Arabs from their homes. East Jerusalem is not recognized by the world as being under Israeli sovereignty, just as Amona is not. Robert Jones in the Algemeiner confirms that the decline of the Turkish Jewish community continues apace: 450 have left, mostly young people. “Due to deaths and emigration, there are now 450 fewer Jews [in Turkey] this year,” wrote Mois Gabay, a columnist for the Turkish-Jewish weekly, Salom. This, he said, is not only because the community is aging and has a decreasing birthrate, but as a result of “the traumas that every Jewish generation has endured” in the country. Polls back this up. For example, a survey conducted by Istanbul’s Bahcesehir University in April/May 2009 showed that 64 percent of Turks did not want Jewish neighbors. And, according to the 2015 Anti-Defamation League Global 100 poll, 71% of the Turkish adult population harbors antisemitic attitudes. The rise of militant Islamist groups in the region is another factor. According to a Sky News report in March, ISIS terrorists were planning an attack on Turkish-Jewish kindergartens, schools and a synagogue that doubles as a community center. As if all of the above were not enough, the antisemitic outbursts from many Turkish politicians and journalists are making life even harder for the country’s Jews. At the entrance to the city we left him [the French officer]. We kept our weapons. And to get to the Jewish quarter, we walked around liquor stores and I would present us as French soldiers who were looking for drinks or as news photographers covering the war who wanted to document the horrors perpetrated by the English. We told them that we had lost our cameras." Within a few moments, Dar says, they were surrounded by an excited mob of Arabs, who claimed that the British were terrorizing the city. "I told the Arabs: 'You're complaining about how the English are treating you? You took part in the horrors and killed the Jews of the city.' They answered: 'No, we didn't, the Jews are alive. We'll take you to them,'" Dar says. The Arab guides led the trio the Jewish Quarter. "We saw the synagogue still standing, surrounded by destroyed homes. Suddenly, two guys appeared who said they were Jews. We told them that we were Jews serving in the French army, and that we wanted to know what had happened to the Jewish community so we could help them." 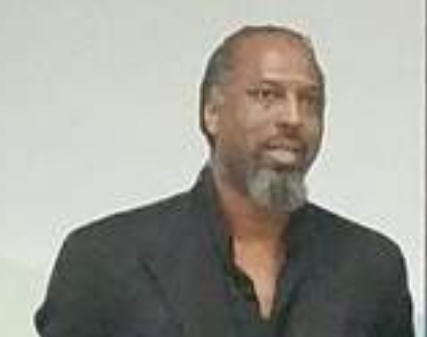 One of the two was Eli Mayo, the son of Shmuel Mayo, the community leader. Mayo, who today lives in Azur, east of Tel Aviv, remembers his Egyptian childhood as "wonderful," at least until 1948. "My father owned a large shop and was one of the most respected men in the city. He was sometimes invited to events at the home of the governor of Egypt," he recalls. "My best friend was a Muslim named Jamal. Our families got along well. But when the War of Independence broke out, Jamal was the first to throw rocks at my house and shout, 'Death to the Jews.'" Mayo remembers that "on the evening Israel was founded, people from the Egyptian Bureau of Investigation came and arrested my older brother, Yitzhak, accusing him of spying and other things. We didn't know where he was taken and couldn't find out. Dad pulled strings through Coptic Christian officers, and after he paid bribe money we managed to get to Yitzhak in prison. I would bring my brother and other Jewish prisoners food in the morning and the evening. "After the War of Independence, life in the city was tough. We had money, we were business owners, but the Arabs abused us. They threw rocks at us in the street. In those years, I worked at a branch of Barclays Bank, and because I passed mosques on my way home, I would work late on Fridays, waiting until the [Muslims] were done praying, and only then go home. The Jewish community was forced to bribe the police so it would protect us," Mayo says. Iraq has become less democratic, not more so, since the 2003 invasion, an Iraqi Jewess told thousands of TV viewers of a live discussion programme last week. Born in Baghdad, Niran Basson-Timan accepted to take part in the programme The Day after on al -Sharqiya TV to give her view on the topic : Whither democratic change in Iraq? Speaking from London, Niran Basson-Timan, who fled Iraq aged 16 in the 1970s, argued that Iraq had gone backwards since the overthrow of Saddam Hussein and his Ba'ath regime in 2003. The Iraqi constitution introduced after the downfall of Saddam failed to include the Jews. It gave the right to anyone who is the son or daughter of an Iraqi to regain their nationality. But it discriminated against Jews because the 1950 and '51 denaturalisation laws overrode any option Iraqis had to recover their citizenship, she claimed. To illustrate her point, Niran produced her British passport. Even if she did not renew her passport for 20 years, she would not lose her British citizenship. On the other hand, leaving Iraq meant forfeiting her Iraqi citizenship after two months. "Citizenship is a right, not a gift," she declared. Al Sharqiya is a popular Iraqi TV channel. It is, however, controversial, because its owner is a known sympathiser of the Ba'ath party. Nevertheless, Niran agreed to take part in the programme: "I wanted my voice to be heard and I did not want others to edit what I wanted to say." Not all Jews living in northern Iraq were Kurdish - they did not all speak the same language, dress the same way or share the same customs. 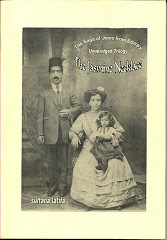 Take for instance, the Turkmeni Jews of Kirkuk, who were different both from the Kurdish Jews and the Jews of Mosul. 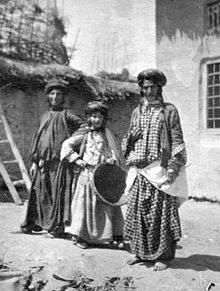 Mostly small-time merchants and shop-keepers, they spoke a dialect of Turkish and did not wear the traditional Kurdish outfit of baggy pantaloons. SGS, a keen reader of history, recalls visiting the Jews of this region as a child. "When I was about four years old, my late father took the family on a trip to Kirkuk and Mosul. The Baghdadi railways were a novelty at that time. The line started in Baghdad and ended in Kirkuk. The British Governor built this railway to Kirkuk after WWI after oil had been discovered. We had to stay in Kirkuk for two nights until we could catch the bus to Mosul because there was no railway to Mosul. In those days nothing was scheduled and a bus operator was ready to depart only after most of the seats on the vehicle had been filled. In Kirkuk, we spent the night in a sort of hotel called in the local language a khan, which means 'inn'. We were given a large room on the second floor. Based on the acceptable standards of those days, that inn was considered to be a five-star hotel. You could park your car, bus, camel, horse or donkey or mule. They all got good accommodation. The non-Jewish people of Kirkuk spoke Turkish, because this area was part of the Ottoman Empire before WWI. It was Mr. Churchill who decided to separate this district from the Ottoman Empire and make it part of a new country called "Iraq". The main reason is that this area is soaked in oil. 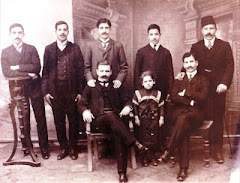 The Jews of Mosul were different from the Jews of Kirkuk and the Kurdish Jews. They also spoke a Judeo-Arabic dialect, but it was a bit different from that of the Jews of Baghdad. Both could communicate with some difficulties. The Jews of Mosul had a different accent and used different words in everyday language. For example, they called tomato " franji" and beans they called "silahi". The following day, we were invited to the house of a Jewish merchant who used to do business with my father. The Jews of Mosul lived mainly in a ghetto. This ghetto was fenced off. A few years before WWI , the Jews of Mosul were allowed to live outside this ghetto. We were surprised by a story that our host told us. The Jews had lived in the ghetto for a long period. They were not allowed to have a cemetery and were forced to bury their dead in their basements, in their backyards and in the streets around their houses. My mother was stunned to hear this. When I grew up, I wanted to research the reasons behind it. I found some interesting information. Iraq was captured by the Mongols under Genghis Khan. His son Hulagu took over. When Hulagu was gravely sick, a Jewish doctor was brought over to treat him and he recovered. Hulagu was pleased with his doctor and gave him the title Sa'ad Al-Dawla. He then appointed him as Prime Minister. Sa'ad Al-Dawla was originally a Jew from Mosul. As Prime Minister he had to appoint district administrators to run the country. He could not trust people he did not know and appointed Jews to high administrative positions. Among those appointed was the administrator of Mosul. This administrator appointed deputies from his own community. So Mosul was administered almost entirely by Jewish officials. This situation made Muslims very nervous. How could they take orders from Jews ? It is not acceptable because they are superior and the Jews are dhimmis. Sa'ad Al-Dawla was assassinated and the Mongols left Iraq. The situation in the whole country was chaotic. The Muslims of Mosul took advantage of this chaos, attacked the Jews and killed a large number of them in a pogrom that lasted several days. They then forced those who survived to live in a ghetto and did not allow them to have a cemetery, but to bury their dead as mentioned above. 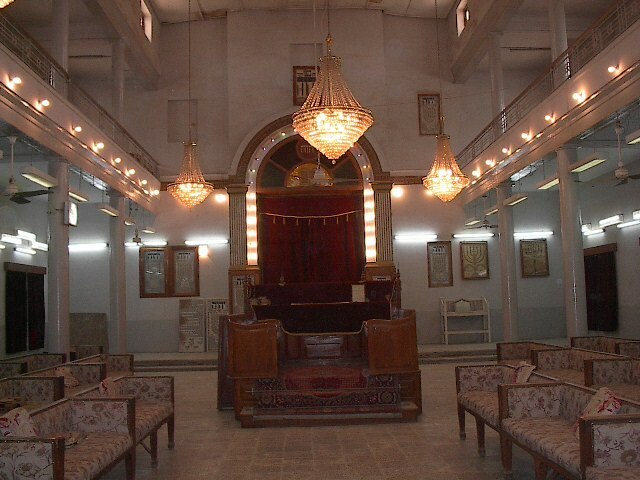 The Jews of Mosul were very nice, warm, and accommodating. We met two rabbis: I still remember their faces. Both are of blessed memory. One was Rabbi Yehia who was at that time in his nineties with a white beard. He looked very majestic and he was respected by all. The second was Rabbi Moshe who was talkative and very eloquent. As guests, we liked them very much." After the controversial UNESCO vote approving a second resolution recognising only the significance to Muslims of Temple Mount in Jerusalem, Israel is reaping the result of its failure to stress the significance of the site to Judaism - just as it failed to emphasise the issue of Jewish refugees from Arab countries, argues Zvi Gabay. Amazingly enough, an Arabic version of his article, which first appeared in Maariv on 26 October 2016, was published in Al-Quds al Arabi, the London-based mouthpiece of the Palestinian cause. Here is an abridged version. 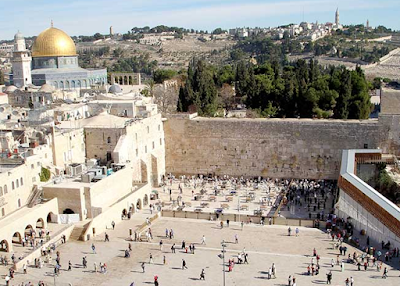 The UNESCO Resolution adopting the Palestinian initiative to ignore the link between the Jewish people and the Temple Mount (Haram al-Sharif) and the fact that this is the most sacred place of Judaism should sound a warning of what's to come. UNESCO's decision, which ignored the link between Judaism and the Temple Mount, met with sharp condemnation from politicians from the right and left in Israel. However, it was us who underestimated the gravity of UNESCO's decision and did not denounce it, giving the impression that our historic sites are not important. If we neglect our national history, how can we ask others not to do so? How to prevent poisonous Palestinian propaganda that ignores what has even been written in Islamic holy books? The issue of refugees is also neglected in modern history. The New York Times recently published an editorial titled "At the boiling point with Israel". It called on pressure on Israel to agree a deal with the Arabs, which included solutions to issues such as security, Jerusalem, borders and Palestinian refugees. For some reason it ignored the issue of Jews who came from Arab countries empty-handed and arrived as refugees in Israel. The US Congress, in a decision in 2008, confirmed that the issue of refugees from the Middle East, including the Palestinian refugees, as well as Jewish refugees from Arab countries, should be on the table. 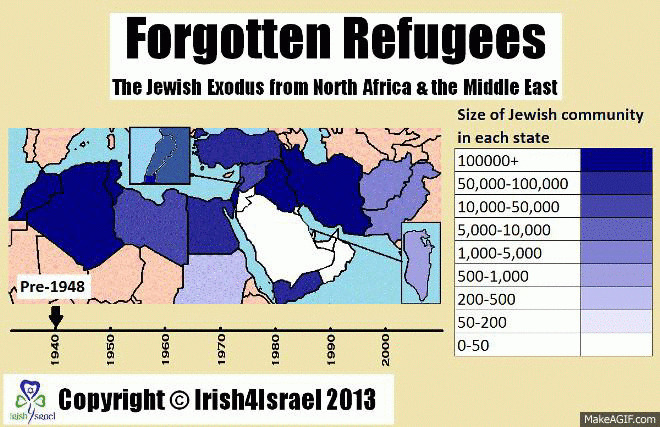 So why no mention of Jews from Arab lands being given refuge? Palestinian refugees are a central weapon in Palestinian propaganda against Israel. Why on the global agenda is the other side of the Middle Eastern refugees coin ignored - Israel ignored the Jews from Arab countries, just as it did not strongly emphasize the historical meaning of the Temple Mount for the people of Israel. The vacuum has been filled by Palestinian propaganda, which ignores the historical circumstances of the destruction of Jerusalem and the tragedy of Arab-born Jews who came to Israel as refugees. It is true that these Jews rebuilt themselves by their own strength and ceased to be refugees, but this is no reason to ignore the tragedy that befell them, robbing them of their rights and their property. The state that ignores its history will find that the world also belittles its national heritage. It will continue to suffer from hostile treatment from the countries of the world in which Israel is considered guilty of occupying territory and the ongoing suffering of the Palestinian refugees. The sooner the situation is rectified, the better. Buskila, who had already been a periphery and a gay-rights activist, began organizing a protest of independent reservists. At the same time, he also led, along with a friend, a project to create a treaty of teenagers for fair discourse in Israeli society. This was his rehabilitation after the war. "I had 15 minutes to think about it, and I decided to try. When they called to say I got the job, I felt it was the best compliment I ever got. I was given a chance to do something for the country." But you didn’t grow up in Peace Now. You were brought in as "Mizrahi talent." Why is it so difficult to speak to people? You offer peace. Isn’t that a good thing? "The peace camp comes across as an elitist Ashkenazi camp. The entire left-wing leadership throughout the years has been Ashkenazi. (Former Mizrahi Labor Party leader) Amir Peretz is the exception. It makes sense for Mizrahim to hold left-wing views: They identify with minority, disenfranchised, Israeli Arab, and Palestinian rights. But that didn’t happen because the oppression of the Mizrahi population led to extreme alienation toward government. Likud doesn’t care about the development towns and the periphery, but the people who immigrated to Israel and were dumped in the periphery still vote emotionally. I tell them, ‘Peace has nothing to do with religion, identity, or nationality—it should be wishful thinking for a better future.'" Aren’t you afraid that they hired you to be the left’s Miri Regev? The Mizrahi symbol? "I don’t think of myself as a Mizrahi symbol. I am a person who happens to also be Mizrahi, raised in the periphery, and served in the army. There are a lot of people like me. But they are either not part of the left, or they didn’t choose politics as a way of making a difference. I don’t want to create another crisis between Ashkenazim and Mizrahim. I'm saying, we come with equal rights and the need to speak to those that the state abandoned.